We spent an enjoyable afternoon driving from Hilo to Kailua-Kona along the northern side of the island. We took highway 19 along the coast and saw waterfalls and other scenery that we wished we had time to stop and savor. Waipio Bay, on 240, a little side road, was our main scenic stop. 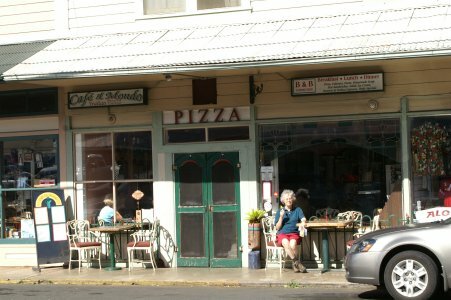 But we also had a delicious pizza at this restaurant in Honoka'a, town that reminded us a little of Fredericksburg. A bit later, on highway 250 that runs up the spine of the Kohala peninsula, we stopped for ice cream. 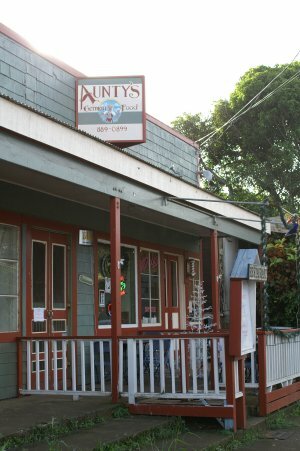 Next door was this German restaurant and we had to get a picture of its sign, since Henry's great aunt is called "Aunty." Here are two scenes along the road up the peninsula. Although it's still green by South Texas standards, you can see that we've crossed over to the leeward side of the island, where the vegetation is much less lush. 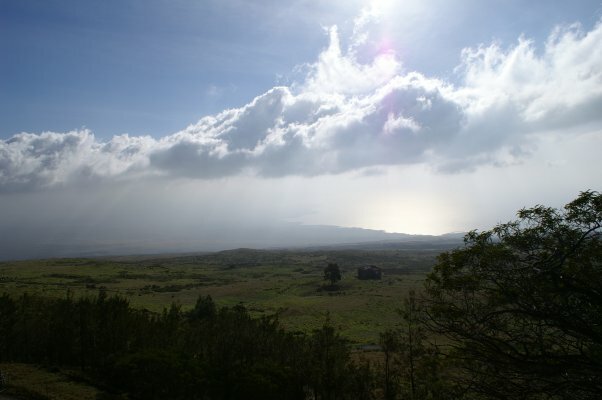 But you can always see Mauna Kea, in the background on the right, at least unless it's covered with clouds. 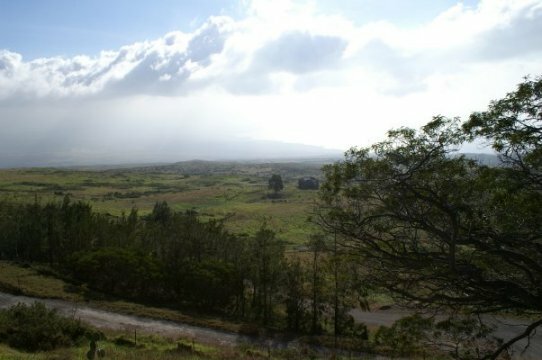 It is a constant reminder that even though you're on the Big Island, it's still a small piece of land in the vastness of the Pacific. 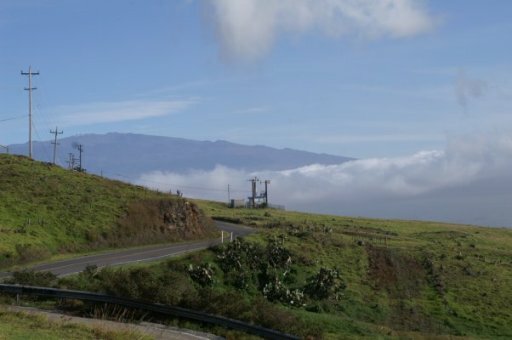 After getting up to Hawi in the northernmost part of the island, we headed across country via highway 190 to Kailua-Kona. Here's what the scenery along that road looks like. Sure enough, even though you are going "cross country," there's the ocean, in full view.